Avengers 4 Has Some Big Shoes to Fill! Has Marvel Put the Bar Too High? Avengers: Infinity War still puts chills down my spine when I think of the universe and the current state it’s in. The fact that the Avengers have lost at the end of the film is a completely different feeling from 90% of superhero movies. That doesn’t mean I don’t enjoy the heroes losing, but it is very intriguing to see. While the ending was great I think it’s important to remember the film was truly a work of art from beginning to end. Marvel has gotten the formula down for their films. They make us laugh, they make us feel tense, and they just give us a reason to go to the theaters. I love cinema so I would go to the theater even if Marvel didn’t release three different movies a year. However, they are so consistent I know when I pay for my ticket that i’m in for a good experience. While all of this is great it puts them in a great dilemma. How will they top the movies that they’ve been releasing recently especially Infinity War. They’ll have to get everything right in the next film even to compete with the latest Avengers entry. I don’t want the story to be obvious, especially with the twist from Infinity War. The story should be engaging and should keep the viewers interested throughout the film. Not only do Marvel have to get those two things right comedy must hold up as well. Going into the next film I assume the cast at least in the first two acts of the film will be cut shorter than that of the previous Avengers movies. Therefore, if they truly want to get laughs they’ll have to be original with a group of characters that we’ve seen work together previously. 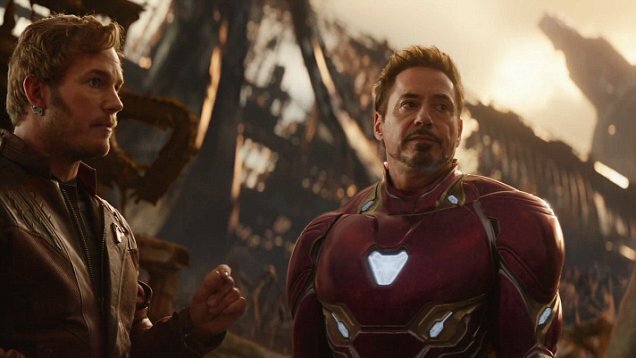 In Avengers: Infinity War, the film was so comedic because we had a lot of different characters meeting for the first time. It’s easy to make jokes with different material, but now I assume it will be much harder to get laughs from the audience. I hope this film proves me dead wrong since I will surely be in attendance as soon as the movie releases for public viewing. Next Post Is Disenchantment your next binge watch?